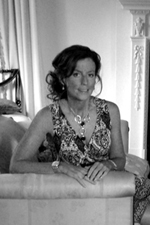 For almost 25 years Interior Designer Mary D’Andrea, Founder and CEO of MDA Design Ltd. is the creative force. Mary received her Bachelor of Science Degree in Interior Design from Drexel University. Prior to starting her own firm Mary D’Andrea was the Director of Design for Keiser Associates, which has been ranked as one of the top 100 Interior Design firms by Interior Design magazine. Mary takes into account the personalities of her clients, meshing her sense of style with theirs to find a common ground that will make the living environment a warm and inviting place. The firm has a loyal client base, with more than 75% of our current revenue coming from repeat business. Our assignments include interior design projects ranging from new office renovations for corporate and professional clients as well as restaurants, educational facilities, leasing offices and model apartments for new high rise buildings as well as many high end residential interior projects. We pride ourselves in our proven ability to listen to clients, respecting their unique budgetary constraints as we develop their design. At the very heart of our design philosophy is our commitment to deliver a finished space that fully captures each client’s image and aesthetic objectives as if it were our own. MDA Design Ltd. is a premiere Long Island interior design firm recognized for its style and versatility. We provide interior decorating services to residential and commercial properties in New York, NYC, Suffolk County, Nassau County, Long Island, the Hamptons, New Jersey and Florida. MDA Design Ltd. maintains the highest standards of collaboration between client and architect to assure a seamless project. With an extensive library of fabrics, trims, wallpaper, furnishings, carpet, lighting and window treatments, our designers draw from our flagship Interior store, Bella Maison. In 2006 Bella Maison, an Interior Home Furnishings store opened it's doors. It also houses MDA Design Ltd. as well as a showroom that features a collection of furniture, home accessories, lighting fixtures, jewelry, monogramming and more.